Let's remember that in the birthplace of Democracy, there's one newspaper that sets the agenda for the rest of the local media -- The Philadelphia Inquirer. And since that newspaper has had an unholy alliance with prosecutors since the days of Harry Karafin, any allegations of corruption are treated as proven facts by the Inquirer the minute an indictment is released by the U.S. Attorney's office. Or the minute the allegations in that indictment are leaked to the Inquirer, in advance of the official release, for the purpose of additional damaging pretrial publicity. Regardless, the Inquirer keeps a permanent spot on their front-page open for the next breathless story about official corruption emanating from those beacons of light at the U.S. Attorney's office. The end result: by the time a defendant finally goes to trial, especially a Philadelphia politician accused of corruption, he's already been convicted in the media. No matter what crazy theory the prosecutors are running with. The game is so out of whack here in Philadelphia that the prosecutors can take a couple of milquetoasts, say Chaka Fattah and Herb Vederman, and convince people that they're dangerous racketeers. Yes folks, in the Fattah case, the congressman and his diminutive aide were prosecuted under the RICO Act, as if they were John Stanfa and Skinny Joey Merlino. It doesn't matter how goofy the prosecution's theories are. Here in Philadelphia, the Inquirer can be counted on to run with them without expressing a critical thought. All that's needed on the criminal justice railroad that runs through Philadelphia is a rubber stamp from the jurors. What went wrong in the Fattah case was that Juror 12, a former U.S. Army paratrooper from Lancaster County, didn't think that the government had proved his case. A white guy from Amish country didn't think there was any evidence to convict a black congressman from Philadelphia of corruption. Fattah was accused of secretly orchestrating a plot to pay for his campaign expenses with a $1 million loan borrowed from a wealthy campaign contributor. But before he sent a guy off to jail, Juror 12 wanted some proof. And when he looked at the evidence, what did he discover? 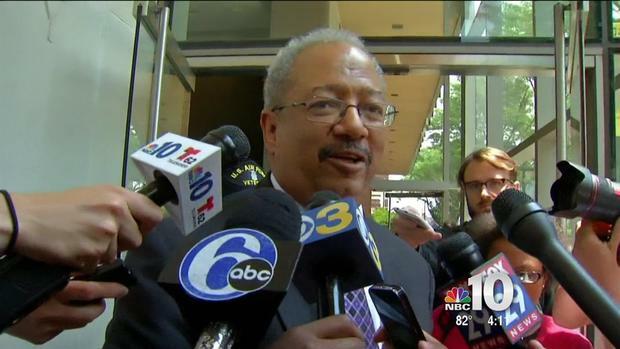 "There was nothing directly tying him [Fattah] to the money," Juror 12 told me in an interview last year. 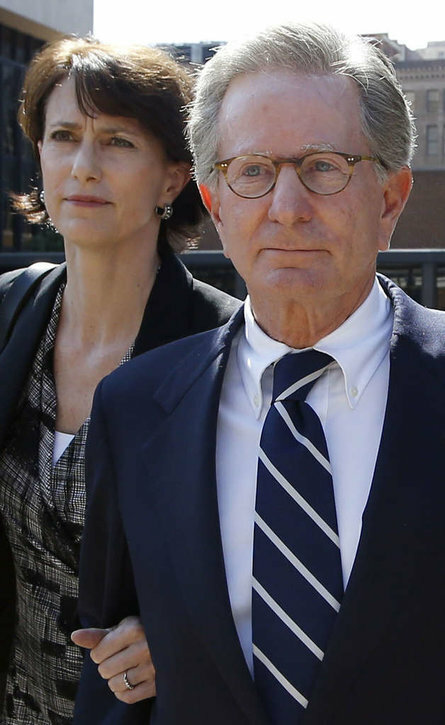 The congressman "did not ask anybody to borrow money on his behalf," Juror 12 said. 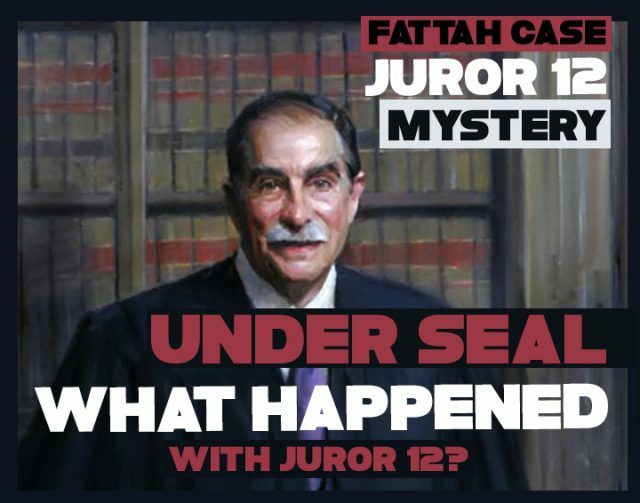 The only evidence in the case against Fattah was the testimony of a couple of cooperating witnesses that Juror 12 didn't think were credible. One of those cooperating witnesses was Thomas Lindenfeld, a former political consultant to Fattah who got jammed up by the feds. According to the evidence presented in court, Lindenfeld "lied to his wife, his family, his business partners, and those close to him," Juror 12 said. " So why would I believe anything he said to save his own skin? If you're gonna lie to them, why wouldn't you lie to me?" Sounds reasonable. Juror 12's problem was once he looked at the evidence, and formed an opinion about whether the government had proved its case, he wasn't going to change his mind. That became a problem with the rest of the jurors, some of whom thought that just the allegations printed in the indictment amounted to sufficient proof of criminal activity. That, of course, would qualify them for jobs as Inky reporters and editors. Stepping into the breach was Judge Bartle, a former state attorney general, who was determined to make sure that justice was done in his courtroom. The right kind of justice. Standing in Judge Bartle's way was the U.S. Constitution. "The trial court abused its discretion by inserting itself into the jury deliberations and then dismissing a juror who did not view the evidence as the rest of the jury did," wrote lawyers Samuel W. Silver and Bruce P. Merenstein in a 64-page appeal brief. "The constitutional rights to due process, impartial juries, unanimous verdicts, and guilt only upon proof beyond a reasonable doubt all serve to protect a criminal defendant from the overwhelming pressure that can be brought to bear on a lay jury." In their brief, Fattah's lawyers said that the judge's decision to question any jurors in the Fattah case was "improper and prejudicial." "Barely a half-day into the jury's deliberations, the trial court questioned five jurors about those deliberations and then dismissed a juror who, according to some of the other jurors, would not view the evidence the way they did and would not vote with them to convict the defendants," the lawyers wrote. The judge had "no basis to question the jurors in the first place," the lawyers wrote. The judge's interviews with the jurors, and a couple of jurors' notes revealed "nothing more than healthy disagreements over the merits and normal deliberations among jurors in a criminal case," the lawyers wrote. "Thus, the trial court abused its discretion in dismissing the dissenting juror and a new trial is required to remedy this error." 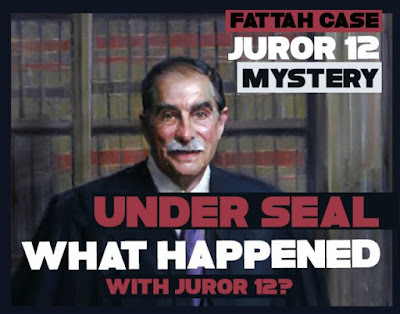 "The results of the trial court's questioning of the jurors confirmed that there was no legitimate grounds for removing Juror 12," the lawyers wrote. "The foreperson testified that Juror 12 wouldn't change his vote and that it was 'everybody pretty much against this guy.' The foreperson clearly was frustrated that no matter how much other jurors argued with Juror 12, he would not interpret the evidence the same way as they did, and that he insisted on reviewing the evidence very closely." And when the judge interviewed Juror 12, it was his undisputed testimony that "while he pointed to evidence to justify his dissenting vote, other jurors rejected his arguments and 'pointed to the indictment.'" "When he [Juror 12] reminded the other jurors that the indictment was not evidence and pointed to the jury charge that was supposed to guide their deliberations, the other jurors ignored him and simply insisted on taking another vote," the lawyers wrote. Juror 6 conceded to the judge that Juror 12 was 'participating in the process' and was reviewing the evidence. He was just "being obstinate," Juror 6 told the judge. "He's being different." In Judge Bartle's courtroom, this was a problem. Hopefully, the appeals court will remind the judge that you can't toss a juror off a case for weighing the evidence and following one's conscience. A final note about how rigged the criminal justice game is in Philly: Last week, the Inquirer ran an Associated Press story about the Fattah appeal. [Apparently, the newspaper's own reporters were too busy to do the story]. The AP story is six paragraphs long and doesn't even mention the argument over the 12th juror. Even though that argument is the lead argument in the brief, and is discussed on, by my count, 28 of the appeal brief's 64 pages. Ralph, when can I buy your next best seller? I hope you asked Vincenzo how many sources he had in the Justice System and how many times he leaked big stories and to whom? He could fill a telephone book with all the cases he helped get dismissed except the one that sent him away. Kline should let him teach a course at one of his Law Schools. A lot of Judges heads would roll if he ever named cases and favorable decisions. I got it ! I just realized who the Inky reminds me of, it just came to me, they are the Sean Spicer/ Sarah Huckabee Sanders of the media world. Spicer/Sanders have defended the President no matter how outrageous his lies i.e. largest inauguration ever, Mexican President called him, Boy Scout Leader called him saying it was the best speech ever given and so on and so on. The Inky defends the prosecution even when all the facts have not been presented, when all the facts do come out we never see anything in print that supports a defendant, they obviously are not interested in any facts that benefits a defendants. The Justice Department has enjoyed unprecedented support from the press in general, one would have to wonder if the media's unconditional love for the prosecution has led to the abuse of power that is rampant in the Justice Department. No wonder misconduct is so common it's never exposed by the very people that think they are doing an exemplary job of exposing corruption. Siding with the prosecution has cost many an innocent person their freedom, how else can we tell the Inky that what they are doing is dangerous and strips a defendant's chance of a fair trial.Maybe capital letters might work. INNOCENT PEOPLE PLEAD GUILTY TO CRIMES THEY DID NOT COMMIT RATHER THAN TAKE A CHANCE WITH A JURY THAT IS POSITIVE THEY ARE GUILTY BECAUSE THEY READ IT IN THE INQUIRER. I believe this Judge acted so improperly , I can not believe his actions have not been recognized as a national disgrace ,it should be on everyone's lips as the topic of conversation, what Judge Bartle did was outrageous. People should be marching in the streets, if his behavior was exposed to the general public by the Inky as an unacceptable situation there would be outrage, but as we are only ever subjected to the prosecution's version we would never know if not for this column. Bartle should be removed from the bench, unfit to serve. His service is not to the public and justice but to the prosecution only. I have no respect for this man. He needs to go. An unreasonable person can removed from a jury if he or she refuses to participate in the deliberations. A mistrial can be declared if the jury is hopelessly deadlocked after so many fruitless attempts to reach a verdict. It could be one juror refusing to agree and supported by two other jurors who condition their vote on the dissident juror's vote. Chaka Fattah was found guilty as charged and get a much deserved 10 year prison sentence. From what I've seen and heard, the only unreasonable thing this juror did was to disagree with the government. He should have never been tossed from that jury. He was arguing with jurors who thought the indictment was proof of guilt. From what I saw, he was the only juror who was fulfilling his oath by actually examining the evidence. The Bartle/Fattah scandal raises quite a few issues and questions. Does Judge Bartle have a history of pre-Law School grade reversible error prior to US v. Fattah? Who stands to gain by sending a political "down-and-outer" out to the Big House instead of political consultancy and oblivion where his "career track" had him firmly guided to? Using the indictment as prima-facie evidence is textbook juror misconduct. While Judge Bartle had no "elegant" solution to having up to eleven out of twelve cases of juror misconduct, he arguably took the most destructive course possible. Why? The jury was ALREADY "hopelessly deadlocked" at this point. Juror 12 concluded the cooperating witness testimony was perjurious, evaluated the other evidence and found it lacking, and voted to acquit. Bartle's only lawful course of action at this point was to declare a mistrial. If a new trial is ordered, Judge Bartle should be replaced by the appellate court, if the trial is not moved OUTSIDE of the Eastern District of Pennsylvania. The particular type of erroneous judicial temperament displayed by Judge Bartle in this case is NOT the kind that improves with repetition and rebuke. As Judge Bartle is the former Chief Judge of the district, it can be reasonably assumed that his lack of decorum in this case might be "contagious." Being charged under RICO improves the chances for conviction and the Inquirer will take credit for being the great crusader. That is the same journalism that was practiced by Hearst and Annenberg when they were running the News. If Mueller charges Trump under RICO, Trump is finished and another undeserving journalist wins a second Pulitzer like David Cay Johnston.